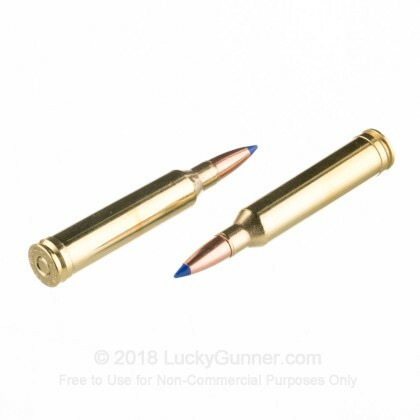 Based directly on the 375 H&H Magnum, one of the most powerful hunting rounds in the world. The 7mm Rem Mag was developed by Remington, in 1962 along with the Remington Model 700 rifle, one of the most accurate rifles in the world. Whether you are looking to match shoot, train at the range, or hunt the big game of North America, the 7mm Rem Mag will get the job done. Barnes is not your typical manufacturer. Leading the charge in lead free ammunition, Barnes creates some of the best solid copper hunting ammo on the market. 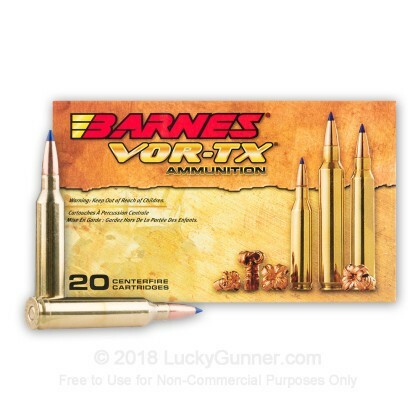 Barnes TSX bullets eliminate the chance of lead poisoning from the meat as well as polluting the environment with stray bullets, while still giving you incredible expansion and accuracy you need. 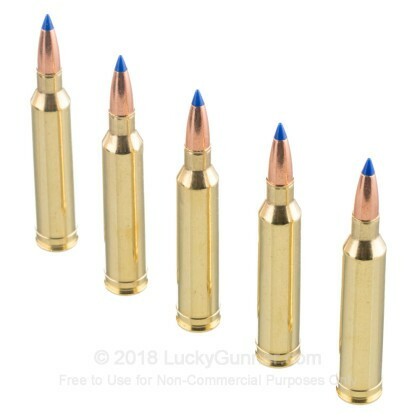 These VOR-TX rounds feature TSX boat tail projectiles that weigh in at 140 grains and have a polymer tip. 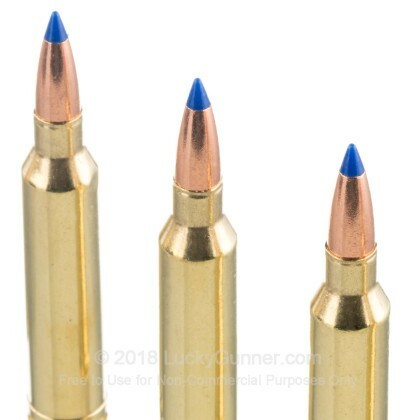 Each bullet is loaded into a reloadable, boxer primed, brass casing. These VOR-TX rounds give you the high velocity, massive expansion, and amazing accuracy you need to take down that next trophy. Pick up a couple boxes today! 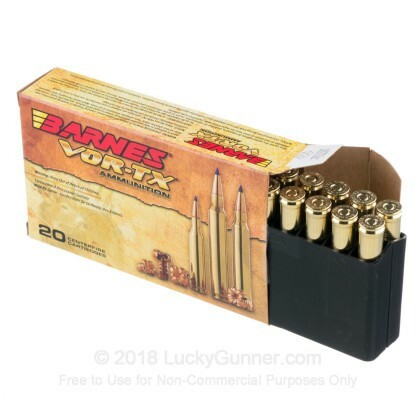 We don't have any reviews yet for this particular 7mm Remington Magnum ammo from Barnes. 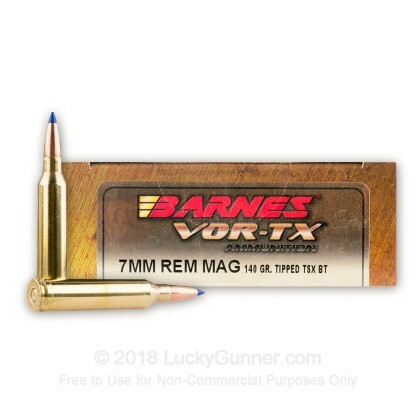 If you'd like to be the first to review this particular 7mm Remington Magnum ammo from Barnes, fill out the form below. A: The muzzle energy, from manufacture testing, is approximately 2987 Foot Pounds.